"Andrew Flintoff Pays Visit To Colwyn Bay School"
Andrew Flintoff’s countryman Nasser Hussain reckons that it wouldn’t be such a bad thing for England if Ben Stokes is awarded one more demerit point in the last match of the West Indies test series and there is a ban imposed on him by the International Cricket Council. 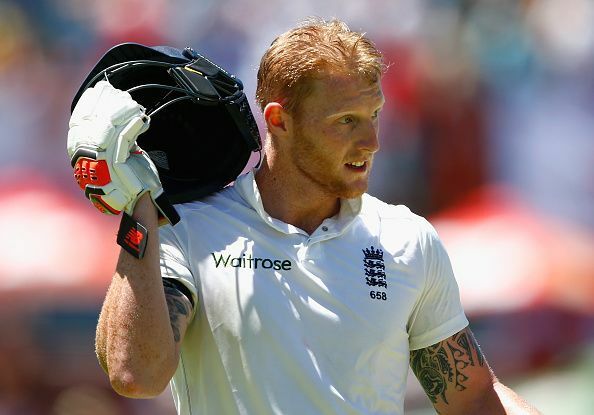 "Nasser Hussain wants another Position for Stokes in Team"
England cricket legend Andrew ‘Freddie’ Flintoff is backing Indian Premier League signing Ben Stokes to become a success. The England all rounder was lured by IPL outfit Rising Pune Supergiants and he could make his debut on Thursday against his countryman Jos Buttler when they play Mumbai Indians. "ANDREW FLINTOFF BACKS BEN STOKES TO SUCCEED IN IPL"
Andrew Flintoff disagrees to those who say Virat Kohli is not as good overseas as he is in his own backyard. In Flintoff’s opinion, Kohli may have had a bad tour to England three years ago, but, when he features in red-ball Cricket in UK in future, he will excel for sure because he has the tools to play against swing bowling. 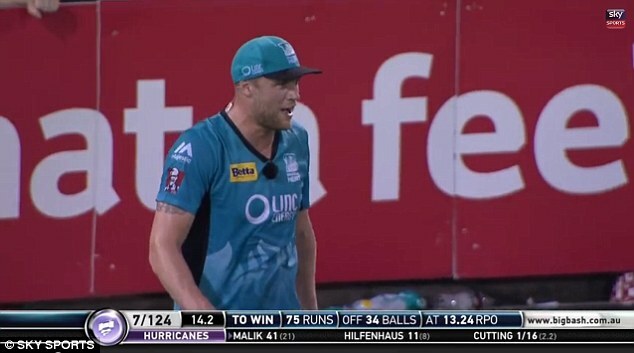 "Andrew Flintoff backs Kohli’s Form Overseas"
The Big Bash league recently saw a lot of laughter from the spectators and the commentators as Andrew Flintoff went on to sing a record hit song “In the Ghetto” by Elvis Presley while fielding in the Big Bash after being requested to do it by English commentator, David Lloyd. "ANDREW FLINTOFF SINGS ELVIS PRESLEY’S “IN THE GHETTO”"
Joe Root is cross with himself to have been losing his wicket between 50 and 100 more often than not. The other batsmen of this era who are being tipped to be future legends are all frequent century scorers, but, Root, although he is as consistent as anyone else and averages as high as anyone else as well or even higher, has struggled to record three figures too many times. "Joe Root Losing Wicket Consistently between 50 and 100"
England lost the first game of the ongoing twenty 20 series against South Africa at Newlands, Cape Town yesterday. It was Chris Morris again who did the trick for South Africa scoring the required 14 runs in the last over of the innings. Chasing a very low score on a flat deck, the Proteas made it difficult for themselves as they tried to be overcautious in the chase. And at one stage, the game had almost slipped out of their hands. But, thanks to those two timely boundary strikes off Morris’ bat, they managed to reach the target and took an unbeatable lead of one nil. "England lost the first game of the ongoing twenty 20"
Australia beat England in the Old Trafford series decider yesterday. The bowlers starred in that game for the Kangaroos as they bundled England out for just 138 on a flat wicket. When England won the toss in the morning, it seemed they had snatched great advantage as batting would be quite easy in bright sunshine. But, Australia broke through in the very first over. Mitchell Starc, the left arm quick who was back in the XI for Australia after being rested for the 4th game, trapped Jason Roy plumb in front twice. "Australia beat England in the Old Trafford series"
England might make two changes in the playing XI for the third game of the ongoing Ashes series. One would obviously be Jonny Bairstow replacing Gary Ballance who has been dropped after a run of poor shows in the recent test matches. Apart from that, there also have been talks that Mark Wood might have to make space for Steven Finn. Wood was pretty unimpressive in both the innings at Lord’s. His pace was down and he did not look penetrative which prompted some of the experts to say that the selectors should think about resting him. "England might make two changes in the playing XI"
Almost the entire Cricketing world is of the view that Australia would be able to break the jinx of losing three consecutive Ashes series on English soil this time around, but, Andrew Flintoff doesn’t think so. As per Flintoff, the series will end up with the result of 2-1 in England’s favour. Flintoff, who was one of the Ashes heroes for England in the last decade, reckons there isn’t much to choose from the current squads of England and Australia. England might actually be a little stronger if the conditions are taken into account. "Cricketing world is of the view that Australia"